Rocha. R. G.; Leite, Y. L. R.; Costa, L. P.; Rojas, D. 2016. Independent reversals to terrestriality in squirrels (Rodentia: Sciuridae) support ecologically mediated modes of adaptation. Journal of Evolutionary Biology, doi: 10.1111/jeb.12975. Leite, Y. L. R.; Costa, L. P.; Loss, A. C.; Rocha, R. G.; Batalha-Filho, H.; Bastos, A. C.; Quaresma, V. S.; Fagundes, V.; Paresque, R.; Passamani, M.; Pardini, R. 2016. Neotropical forest expansion during the last glacial period challenges refuge hypothesis. Proceedings of the National Academy of Sciences of the United States of America, 113: 1008–1013. Leite, Y. L. R.; Costa, L. P.; Loss, A. C.; Rocha, R. G.; Batalha-Filho, H.; Bastos, A. C.; Quaresma, V. S.; Fagundes, V.; Paresque, R.; Passamani, M.; Pardini, R. 2016. Reply to Raposo do Amaral et al. : The ‘Atlantis Forest hypothesis’ adds a new dimension to Atlantic Forest biogeography. Proceedings of the National Academy of Sciences of the United States of America, p. 201602391. Leite, Y. L. R. 2016. Book review: Biology of Caviomorph Rodents: Diversity and evolution. Aldo I. Vassallo & Daniel Antenucci (eds.). 2015. Sociedad Argentina para el Estudio de los Mamíferos, Mendoza, ix + 329 pp. Mastozoología Neotropical 23: 207-208. Rocha, R. G.; Ferreira, E.; Serafini, A.; Costa, L. P.; Nogueira, A. J.; Malvasio, A.; Martins, I.; Fonseca, C. M. 2015. The usefulness of different methods for biodiversity surveys in the Amazonia/Cerrado ecotone. Natureza On Line 15: 33-45. Duda, R.; Costa, L. P. 2015. 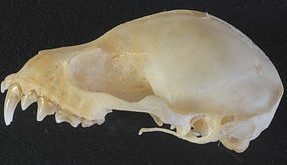 Morphological, morphometric and genetic variation among cryptic and sympatric species of southeastern South American three-striped opossums (Monodelphis: Mammalia: Didelphidae). Zootaxa 3936: 485-506. Rocha, R. G.; Ferreira, E.; Loss, A. C. C.; Heller, R.; Fonseca, C. M.; Costa, L. P. 2015. The Araguaia River as an important biogeographical divide for Didelphid marsupials in Central Brazil. Journal of Heredity 106: 593-607. Dalapicolla, J.; Leite, Y. L. R. 2015. Taxonomic implications of morphological variation in three species of Trinomys (Rodentia: Echimyidae) from eastern Brazil. Zootaxa 3919: 61-80. Leite, Y. L. R.; Kok, P. J. R.; Weskler, M. 2015. Evolutionary affinities of the ‘Lost World’ mouse suggest a late Pliocene connection between the Guiana and Brazilian shields. Journal of Biogeography 42: 706-715. Rocha, R. G.; Justino, J. F.; Leite, Y. L. R.; Costa, L. P. 2015. DNA from owl pellet bones uncovers hidden biodiversity. Systematics and Biodiversity 13: 403-412. Silva, M. P. L.; Leite, Y. L. R.; Costa, L. P. 2015. Litter size and embryo implantation in Neotropical rodents. Oecologia Australis 19: 183-194. Loss, A.C.; Pacheco, M. A. C.; Leite, Y. L. R.; Caldara-Junior, V.; Lessa, L. G. 2015. Range extension and first record of Euryzygomatomys spinosus (Rodentia, Echimyidae) in the Brazilian Cerrado. Check List 11: 1742. Emmons, L. H.; Leite, Y. L. R.; Patton, J. L. 2015. Family Echimyidae Gray, 1825 (and six accounts within). In: J. L. Patton; U. F. J. Pardiñas; G. D’Elía. (Org.). Mammals of South America, Volume 2: Rodents. Chicago: University of Chicago Press, p. 877-880. Machado, L. F.; Leite, Y. L. R.; Christoff, A. U.; Giugliano, L. G. 2014. Phylogeny and biogeography of tetralophodont rodents of the tribe Oryzomyini (Cricetidae: Sigmodontinae). Zoologica Scripta 43: 119-130. Araújo, N. P.; Loss, A. C.; Cordeiro-Júnior, D. A.; da Silva, K. R.; Leite, Y. L. R.; Svartman, M.; Jenkins, G. 2014. New karyotypes of Atlantic tree rats, genus Phyllomys (Rodentia: Echimyidae). Genome 57: 1-8. Loss, A. C. C.; Moura, R. T. ; Leite, Y. L. R. 2014. Unexpected phylogenetic relationships of the painted tree rat Callistomys pictus (Rodentia: Echimyidae). Natureza On Line 12: 132-136. Rocha, R. G.; Ferreira, E.; Fonseca, C.; Justino, J.; Leite, Y. L. R. ; Costa, L. P. 2014. Seasonal flooding regime and ecological traits influence genetic structure of two small rodents. Ecology and Evolution, 4: 4598–4608. Rocha, R. G.; Ferreira, E.; Martins, I.; Costa, L. P.; Fonseca, C. 2014. Seasonally flooded stepping stones: emerging diversity of small mammal assemblage in the Amazonia-Cerrado ecotone, central Brazil. Zoological Studies, 53: 60. Tonini, J. F. R.; Costa, L. P.; Carnaval, A. C. O. Q. 2013. Phylogeographic structure is strong in the Atlantic Forest; predictive power of correlative paleodistribution models, not always. Journal of Zoological Systematics and Evolutionary Research 51:114–121. Pontes, A. R. M.; Gadelha, J. R.; Melo, E. R. A.; Sá, F. B.; Loss, A. C. C.; Caldara Junior, V.; Costa, L. P.; Leite, Y. L. R. 2013. A new species of porcupine, genus Coendou (Rodentia: Erethizontidae) from the Atlantic forest of northeastern Brazil. Zootaxa 3636: 421-438. Ventura, K.; Silva, M. J. J.; Geise, L.; Leite, Y. L. R.; Pardiñas, U. F. J.; Yonenaga-Yassuda, Y.; D’Elía, G. 2013. The phylogenetic position of the enigmatic Atlantic forest-endemic spiny mouse Abrawayaomys (Rodentia: Sigmodontinae). Zoological Studies, 52: 55. Caldara Junior, V. ; Leite, Y. L. R. 2012. Geographic variation in hairy dwarf porcupines of Coendou from eastern Brazil (Mammalia: Erethizontidae). Zoologia 29: 318-336. Ventura, K. ; Sato-Kuwabara, Y. ; Fagundes, V. ; Geise, L. ; Leite, Y. L. R. ; Costa, L. P. ; Silva, M. J. J. ; Yonenaga-Yassuda, Y. ; Rodrigues, M. T. 2012. Phylogeographic structure and karyotypic diversity of the Brazilian shrew mouse (Blarinomys breviceps, Sigmodontinae) in the Atlantic Forest. Cytogenetic and Genome Research doi: 10.1159/000341887. Duda, R.; Dalapicolla, J.; Costa, L. P. 2012. First record of the smoky bat Furipterus horrens (F. Cuvier, 1828) (Mammalia: Chiroptera) in the state of Espírito Santo, southeastern Brazil. Check List 8: 1362-1364. Patterson, B. D.; Costa, L. P. (eds.) 2012. Bones, Clones, and Biomes: The History and Geography of Recent Neotropical Mammals. The University of Chicago Press, Chicago, 432 p.
Costa, L. P.; Leite, Y. L. R 2012. Chapter 13: Historical Fragmentation Shaping Vertebrate Diversification in the Atlantic Forest Biodiversity Hotspot. In: Patterson, B. D.; Costa, L. P. (eds. ), pp. 283-306, Bones, Clones, and Biomes: The History and Geography of Recent Neotropical Mammals. The University of Chicago Press, Chicago. Paglia, A. P.; Fonseca, G. A. B.; Rylands, A. B.; Aguiar, L. M. S.; Chiarello, A. G.; Leite, Y. L. R.; Costa, L. P.; Siciliano, S.; Kierulff, M. C. M.; Mendes, S. L.; Tavares, V. C.; Mittermeier, R. A.; Patton, J. L. 2012. Lista Anotada dos Mamíferos Brasileiros/Annotated Checklist of Brazilian Mammals. 2a edição/2nd edition. Occasional Papers in Conservation Biology 6: 1-76. Rocha, R. G.; Fonseca, C. M. M. S.; Zhou, Z.; Leite, Y. L. R.; Costa, L. P. 2012. Taxonomic and conservation status of the elusive Oecomys cleberi (Rodentia, Sigmodontinae) from central Brazil. Mammalian Biology doi:10.1016/j.m. Rocha, R. G.; Leite, Y. L. R.; Ferreira, E.; Justino, J. F.; Costa, L. P. 2012. Highly conserved D-loop sequences in woolly mouse opossums Marmosa (Micoureus). Mitochondrial DNA 23: 77-83. Agrizzi, J. A.; Loss, A. C.; Farro, A. P. C.; Duda, R.; Costa, L. P.; Leite, Y. L. R. 2012. Molecular diagnosis of Atlantic Forest mammals using mitochondrial DNA sequnces: didelphid marsupials. The Open Zoology Journal 5: 2-9. Rocha, R. G.; Ferreira, E.; Leite, Y. L. R.; Fonseca, C.; Costa, L. P. 2011. Small mammals in the diet of Barn owls, Tyto alba (Aves: Strigiformes) along the mid-Araguaia River in central Brazil.Zoologia 28: 709-716. Loss, A. C. C.; Leite, Y. L. R. 2011. Evolutionary diversification of Phyllomys (Rodentia: Echimyidae) in the Brazilian Atlantic Forest.Journal of Mammalogy 92: 1352-1366. Costa, B. M. A.; Geise, L.; Pereira, L.G. ; Costa, L.P. 2011. Phylogeography of Rhipidomys (Rodentia: Cricetidae: Sigmodontinae) and description of two new species from southeastern Brazil. Journal of Mammalogy 92: 945–962. Pavan, S. E.; Leite, Y. L. R. 2011. Morphological diagnosis and geographic distribution of Atlantic Forest red-rumped mice of the genus Juliomys (Rodentia: Sigmodontinae). Zoologia 28: 633-672. Percequillo, A. R.; Weksler, M.; Costa, L. P. 2011. A new genus and species of rodent from the Brazilian Atlantic Forest (Rodentia: Cricetidae: Sigmodontinae: Oryzomyini), with comments on oryzomyine biogeography. Zoological Journal of the Linnean Society 161: 357-390. Lóss, S.; Costa, L. P.; Leite, Y. L. R. 2011. Geographic variation, phylogeny and systematic status of Gracilinanus microtarsus (Mammalia: Didelphimorphia: Didelphidae). Zootaxa 2761: 1-33. Rocha, R. G.; Ferreira, E. M. S. L. A.; Costa, B. A.; Martins, I.; Leite, Y. L. R.; Costa, L. P.; Fonseca, C. M. 2011. Small mammals of the mid-Araguaia River in central Brazil, with the description of a new species of climbing rat, genus Rhipidomys (Rodentia: Sigmodontinae). Zootaxa 2789: 1-34. Leite, Y. L. R.; Caldara Junior, V.; Loss, A. C. C.; Costa, L. P.; Melo, E. R. A.; Gadelha, J. R.; Pontes, A. R. M. 2011. Designation of a neotype for the Brazilian porcupine, Coendou prehensilis (Linnaeus, 1758). Zootaxa 2791: 30-40. Pereira, T. M.; Pinto, I. S.; Graeff-Teixeira, C.; Costa, L. P. 2010. Absence of angiostrongylid nematodes in wild non-flying small mammals in Duas Bocas Biological Reserve, Cariacia, Southeastern Brazil. Revista de Patologia Tropical 39: 145-148. Tonini, J. F. R.; Carão, L. M.; Pinto, I. S.; Gasparini, J. L.; Leite, Y. L. R.; Costa, L. P. 2010. Non-volant tetrapods from Reserva Biológica de Duas Bocas, State of Espírito Santo, Southeastern Brazil. Biota Neopropica 10: 339-351. Pinto, I. S.; Andrade-Filho, J. D.; Santos, C. B.; Falqueto, A.; Leite, Y. L. R. 2010. Phylogenetic relationships among species of Lutzomyia, subgenus Lutzomyia(Diptera: Psychodidae). Journal of Medical Entomology 47:16-21. Pinto, I. S.; Loss, A. C. C.; Falqueto, A.; Leite, Y. L. R. 2009. Pequenos mamíferos não voadores em fragmentos de Mata Atlântica e áreas agrícolas em Viana, Espírito Santo, Brasil. Biota Neotropica 9: 355-360. Pinto, I. S.; Botelho, J. R.; Costa, L. P.; Leite, Y. L. R.; Linardi, P. M. 2009. Siphonaptera Associated with Wild Mammals From the Central Atlantic Forest Biodiversity Corridor in Southeastern Brazil. Journal of Medical Entomology 46: 1146-1151. Leite, Y. L. R.; Christoff, A. U.; Fagundes, V. 2008. A new species of Atlantic forest tree rat, genus Phyllomys (Rodentia, Echimyidae) from southern Brazil. Journal of Mammalogy 89: 845-851. Caldara Júnior, V.; Leite, Y. L. R. 2007. Uso de habitats por pequenos mamíferos no Parque Estadual da Fonte Grande, Vitória, Espírito Santo, Brasil. Boletim do Museu de Biologia Mello Leitão 21: 57-77. Oliveira, F. F. R.; Nessin, R.; Costa, L. P.; Leite, Y. L. R. 2007. Small mammal ecology in an urban Atlantic forest fragment in southeastern Brazil. Lundiana 8: 27-34. Costa, L. P. ; Pavan, S. E. O.; Leite, Y. L. R.; Fagundes, V. 2007. A new species of Juliomys (Mammalia: Rodentia: Cricetidae) from the Atlantic forest of southeastern Brazil. Zootaxa 1463: 21-37. Leite, Y. L. R.; Lóss, S.; Rego, R. P.; Costa, L. P.; Bonvicino, C. R. 2007. The rediscovery and conservation status of the Bahian giant tree rat Phyllomys unicolor (Mammalia: Rodentia: Echimyidae) in the Atlantic forest of Brazil. Zootaxa 1638: 51-57. Loss, A. C. C.; Leite, Y. L. R.; Louro, I. D.; Batitucci, M. C. P. 2006. Diversidade genética de populações de maracujá-doce (Passiflora alata Curtis) no estado do Espírito Santo, Brasil. Natureza On Line 4: 55-61. Costa, L. P.; Leite, Y. L. R.; Mendes, S. L.; Ditchfield, A. D. 2005. Mammal Conservation in Brazil. Conservation Biology 19(3): 672-679. Costa, L. P.; Leite, Y. L. R.; Mendes, S. L.; Ditchfield, A. D. 2005. Conservação de mamíferos no Brasil. Megadiversidade 1(1): 103-112. Galewski, T.; Mauffrey, J. F.; Leite, Y. L. R.; Patton, J. L.; Douzery, E. J. P. 2005. Ecomorphological diversification among South American spiny rats (Rodentia; Echimyidae): a phylogenetic and chronological approach. Molecular Phylogenetics and Evolution 34(3): 601-615. Santos, A. B.; Lóss, S.; Leite, Y. L. R. 2004. Padrões de uso de estratos da floresta por pequenos mamíferos no Parque Estadual da Fonte Grande, Vitória, Espírito Santo. Natureza On Line 2(2): 1-7.